Additional Info: What exactly is “Ice-Tempered”? To make steel hard, it has to be heat treated. With stainless steel, that means heating the steel above 2000 degrees Fahrenheit. At that temperature the structure of the material is at its optimum. To preserve this structure, the steel is cooled rapidly (quenched) and tempered at about 450 degrees Fahrenheit. Now you have a pretty good hardness and flexibility on your tool except that the chromium in the steel will not permit a long-lasting cutting edge. To make the cutting edge last longer, the steel is subjected to about 120 degrees below zero; in other words, "Ice Tempered". The tool is not much harder, but the steel structure is at its optimum. 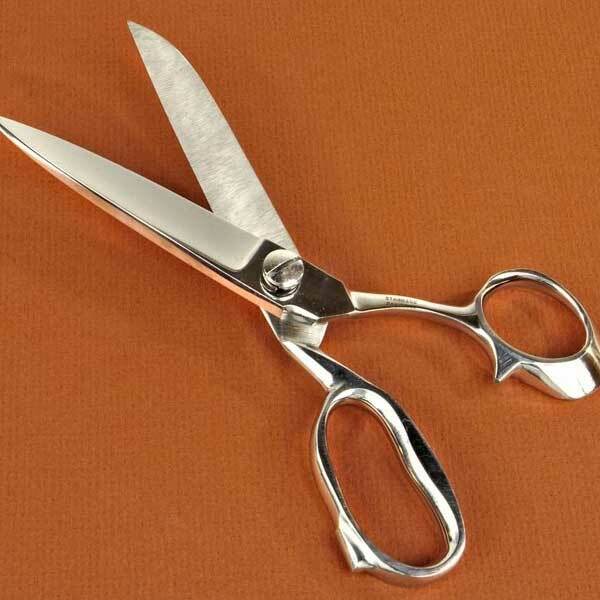 Very sharp, all-steel scissor cuts paper, fabric and other thin materials. 8 inches long overall.